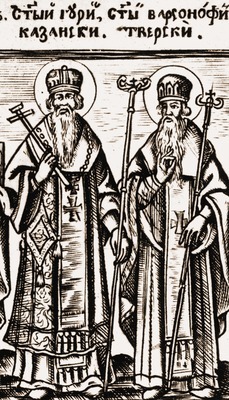 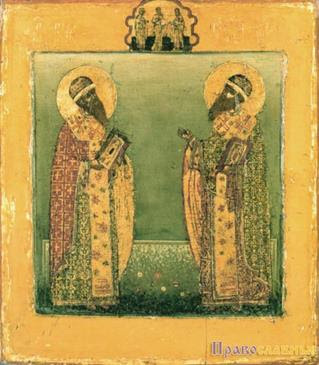 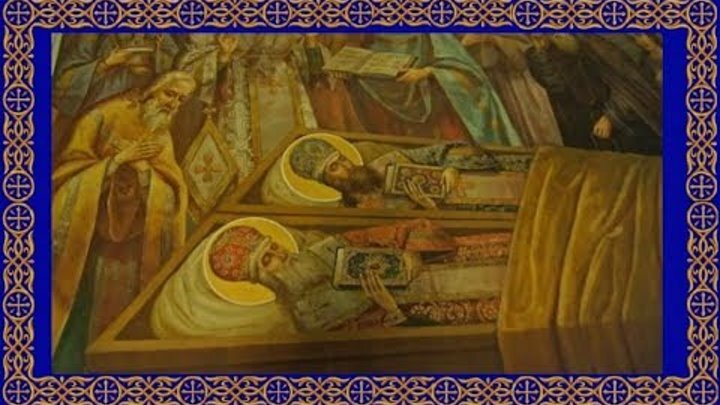 The uncovering of the relics of Saint Gurias, first Archbishop of Kazan, and Saint Barsanuphius, Bishop of Tver, occurred at Kazan in the year 1595. 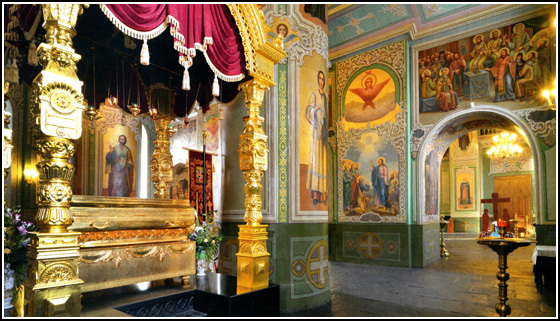 During the construction of a new stone church in honor of the Transfiguration of the Lord at the Savior-Transfiguration Monastery, which had been founded by Saint Barsanuphius, graves with the bodies of the holy hierarchs in the altar-wall were uncovered beneath the former wooden church. 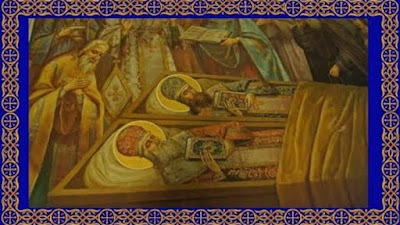 The unusual aspect of incorrupt graves filled Saint Hermogenes (Feb. 17) with a pious desire to open the graves before a large crowd of the people.